This Flash Back Friday comes from Episode 82, from March 2012. The original intent of a jury was to keep government tyranny in check. In today’s legal system, jurors are rarely told that they have this power. Jason Hartman interviews legal scholar and civil liberties activist, Roger Roots, on the responsibilities of juries and the Constitutional purpose of juries. Roger explains cases of unfair advantage by the U.S. Justice Department, where jurors are often directed and instructed by judges as to what convictions they may bring against a person, without being given the opportunity to review the laws. The full function of the jury is to be a final check and balance on the government legal system. Roger also discusses violations of First Amendment rights, corrupt laws, political involvement in corporations and markets, and how the violations against our First Amendment rights squelches the voice of the people who try to expose corruption. Roger talks about his work with the Fully Informed Jury Association, where he has pushed for legislation in favor of juries being fully informed of their rights and duties and the overturning of various small laws that prevent our legal system from working as our Founding Fathers intended. Dr. Roger Roots is a nationally recognized criminologist, legal scholar and civil liberties activist. He is active in libertarian politics, and in the promotion of a freer, fairer and more just world. He is the author of more than two dozen noteworthy scholarly articles, and some of his research has been relied on by federal courts. He is an advocate for the rights of the disenfranchised, the downtrodden and the politically estranged. In recent years, Roots has focused his work and advocacy on three areas: the fully informed jury movement, the reestablishment of Fourth Amendment protections and the establishment of a fair and equal court system for all participants. Roots has has published an important article on the lopsided procedural rules of the federal court system, “Unfair Rules of Procedure: Why Does the Government Get More Time?” which appeared in The American Journal of Trial Advocacy in 2010. He has applied for two major research grants to continue and pursue this research, and he hopes to secure research funding to pursue this research in the near future. In 2011, Roots initiated a formal request to U.S. Chief Justice John Roberts, chair of the United States Judicial Conference, in the hopes that certain unfair advantages for the U.S. Justice Department can be removed from the Federal Rules of court procedure. This work is ongoing. Roots has argued that various filing requirement disparities in the Federal Rules of Civil, Appellate and Supreme Court Procedure give an unfair advantage to the U.S. Justice Department in civil and criminal litigation, and that this advantage is compounded over time. This advantage places the poor and minorities in an especially disadvantaged position. Roots has presented academic papers on the topic before the Law and Society Association national conference and the annual meeting of the American Society of Criminology. During the 2011 Montana legislative session, Roots coauthored legislation that became House Bill 332, introduced by Representative Bob Wagner, to require Montana judges to fully inform juries of their absolute right to acquit and to determine the law in jury trials. The legislation did not get out of the House Judiciary Committee, but Roots has redrafted a proposed bill for the 2013 Legislative Session. 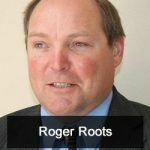 Roots has also coauthored and sponsored a proposed constitutional amendment in Montana requiring juries in criminal trials be instructed regarding their power to review the law. On May 26, 2011, the Montana Secretary of State approved the proposed constitutional amendment (CI-107) for circulation as a ballot initiative. Dr. Roots is a member of the Board of Advisers of the Fully Informed Jury Association (www.FIJA.org), America’s oldest and largest educational organization solely dedicated to informing jurors and potential jurors of their lawful heritage, purpose and powers. Roots was a featured speaker at the 2008 Libertarian Party National Convention in Denver, Colorado regarding fully informed juries. He has been interviewed by The Orlando Sentinel and other publications regarding the rights and powers of juries. In February, 2011, he addressed a packed crowd at the New York City Junto Meeting at the Great Society Library in Manhattan, along with Professor Julian Heicklen, America’s foremost street advocate for fully informed juries. In recent years, Roots has studied the origins of search-and-seizure protections and has launched a long-term research project into the original intent behind the U.S. Constitution’s Fourth Amendment. In 2009, Roots published a major article on the subject, “The Originalist Case For the Fourth Amendment Exclusionary Rule,” Gonzaga Law Review, Vol. 45, pp. 1-66. The article has been the topic of academic discussions on the Volokh Conspiracy and other venues. Roots is currently engaged in research into the provenance of certain Founding-Era British books and pamphlets held in American rare book libraries. In 2010, Roots was awarded a research grant from the New York Institute of Technology to continue this research. This research focuses on the question of whether any of America’s Constitutional Framers owned or had access to these pamphlets prior to the drafting and ratification of the Fourth Amendment. (The larger research question is whether pre-Framing discussions of (what became) the Fourth Amendment exclusionary rule in British pamphlets were read or discussed by America’s Founding Fathers. Dr. Roger Roots has also taught criminal justice and sociology classes at the college level, a pursuit he greatly enjoys. He especially enjoys teaching legal history and constitutional criminal procedure. Although he began his adult life as a high school dropout and an ex-convict, he now holds a Bachelors degree in Sociology from Montana State University—Billings, a Masters degree in Criminal Justice Science from Roger Williams University in Bristol, Rhode Island, a law degree from Roger Williams University, and a Ph.D. in Sociology from the University of Nevada, Las Vegas (UNLV). Roots was an honor student throughout higher education, and kept a Deans Scholarship in all three years of law school. On two occasions, he entered and won national legal writing competitions. His mentor at UNLV was the great Las Vegas gambling researcher Frederick Preston, who founded the doctoral program in Sociology at UNLV. His outside dissertation advisor was none other than Hans-Hermann Hoppe, the great libertarian economist and author of the landmark book, Democracy: The God That Failed who inherited the Murray Rothbard professorship at UNLV. As an attorney Roger Roots has worked on a variety of civil and criminal cases. He is the only lawyer in the history of the U.S. 8th Circuit to ever overturn a conviction on venue grounds. United States v. Stanko, 528 F.3d 581, 584 (8th Cir. 2008). Here is the winning brief. Roots has also worked on litigation concerning America’s lost legacy of grand jury oversight, a topic he has studied and written about on numerous occasions. Roots’ legal scholarship has been cited in the Harvard Law Review and the Yale Law Journal and been relied on by courts across the United States. (See, e.g., Baur v. Veneman, 352 F.3d 625 (2d Cir. 2003); United States v. Marcucci, 299 F.3d 1156, 1162 (9th Cir. 2002); United States v. Holmstrom, 246 F.Supp.2d 1101, 1110 (E.D.Wash. 2003)). Roots is an infrequent blogger for some of America’s premier libertarian websites, including Lewrockwell.com and Nolanchart.com. He was a featured speaker at the 2002 Nevada State Libertarian Party Convention and at the 2008 National Libertarian Party Convention in Denver, Colorado. He has also spoken before the Austrian Scholars Convention of the Ludwig Von Mises Institute in Auburn, Alabama. Dr. Roots is a founding member of the Wall of Tolerance, co-founded by Rosa Parks, whose courageous stand against authoritarian government in 1955 showed millions of others how to resist government by simply saying no.